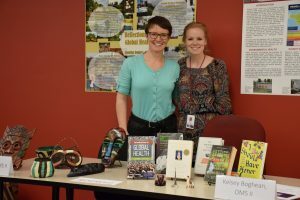 Rocky Vista University (RVU) hosted a Global Medicine Open House at the Frank Ritchel Ames Memorial Library on Monday, November 12th. The open house celebrated RVU’s Global Medicine Program and its successful training of student doctors in providing quality healthcare for rural and underserved communities worldwide. l-r: Jen Daniels, OMS II, and Kelsey Boghean, OMS II. During the event, several displays showcased past medical missions and community outreach programs, which provide student doctors with exposure to osteopathic medicine in an international setting, to improve and develop cultural sensitivity and communications skills, and to expand student knowledge of chronic and unusual diseases. 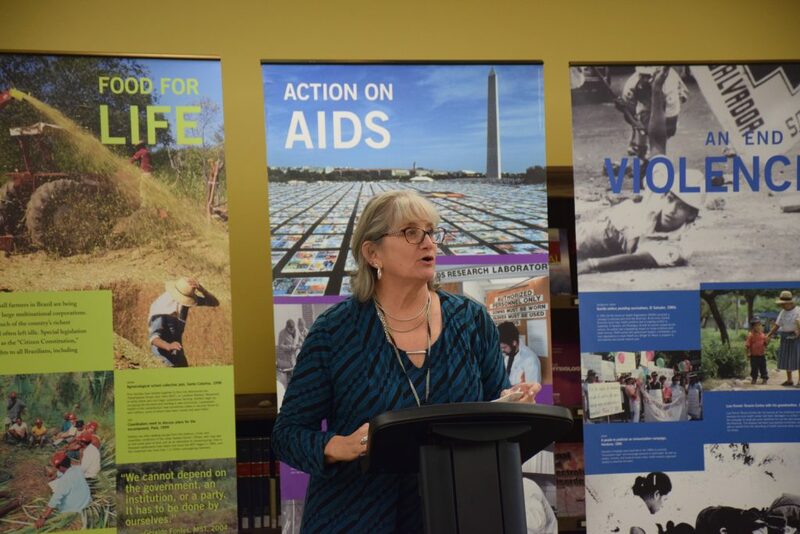 Cultural artifacts from each trip were also on display and offered a tangible connection to the people and values of those communities. Guests at the Global Medicine Open House had the opportunity to explore the National Library of Medicine’s traveling banner exhibition “Against the Odds: Making a Difference in Global Health.” The exhibition showcased the collaborative work of physicians, scientists, communities, and international organizations across a wide range of issues, including the global AIDS pandemic and the impact of war on healthcare services, in an effort to prevent disease and to improve quality of life for all. To view photos from the event, visit RVU’s Facebook page at https://bit.ly/2Q2rGqa.